Sleeping out in the wilderness, under a star-strewn sky, is not something you can do just anywhere anymore. In fact, few holiday destinations can promise places to sleep under the stars, like South Africa can; free of light pollution. South Africa is huge. And because of its vastness there are places to sleep under the stars in South Africa in various untamed areas, and parts of the country where the world is still largely governed by nature. Famous for its wide, sparsely populated plains, this is a desolate part of South Africa known for its empty spaces and night skies. 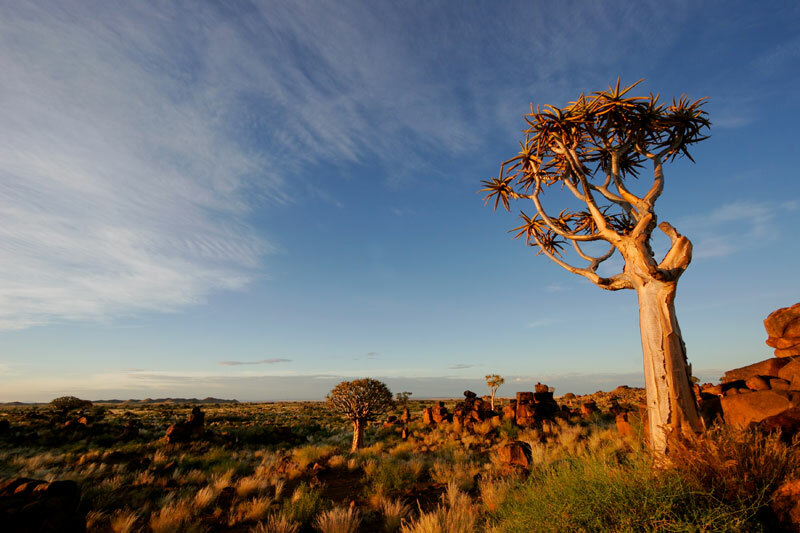 Roughly divided into the Hantam, Kareeberge, Roggeveld and Nuweveld sections, the upper Karoo is the most northerly section of the country’s ‘inner country’, its name most likely derived from the Khoi word ‘garo’, which means desert. 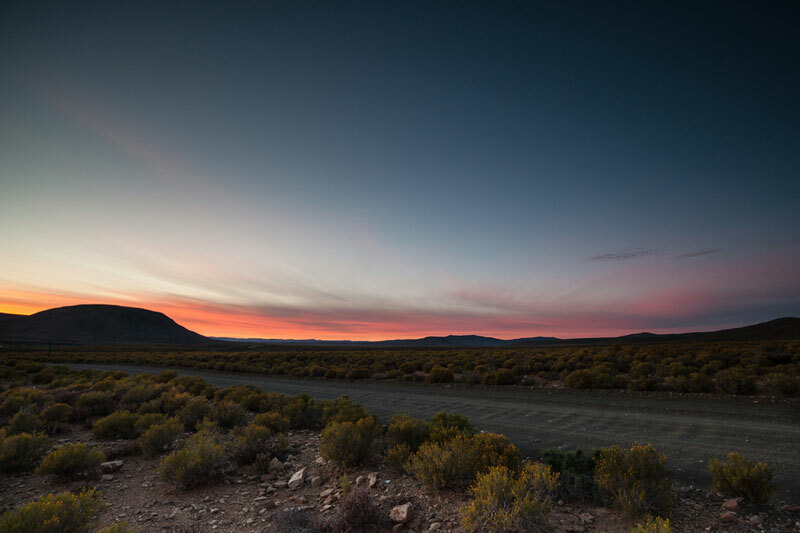 The upper Karoo’s low rainfall, cloudless skies and extreme temperatures make it the place of explorers, travelers and those after adventure. We can’t ignore the little town known as the astronomical heart of South Africa. Sutherland is the home of SALT (the South African Astronomical Observatory or SAAO) based in the foothills of the local mountains, just outside of town, chosen because Sutherland is both remote and 1450 metres above sea level where the night skies are amongst the world’s darkest, and clearest. It also gets really cold in Sutherland, and snowfall in winter is fairly common. Whilst the spring flowers may not be as reliable as they used to be in the Namaqualand (this year there have been very few flowers because of the drought), you can guarantee that the stars will be out in their droves. 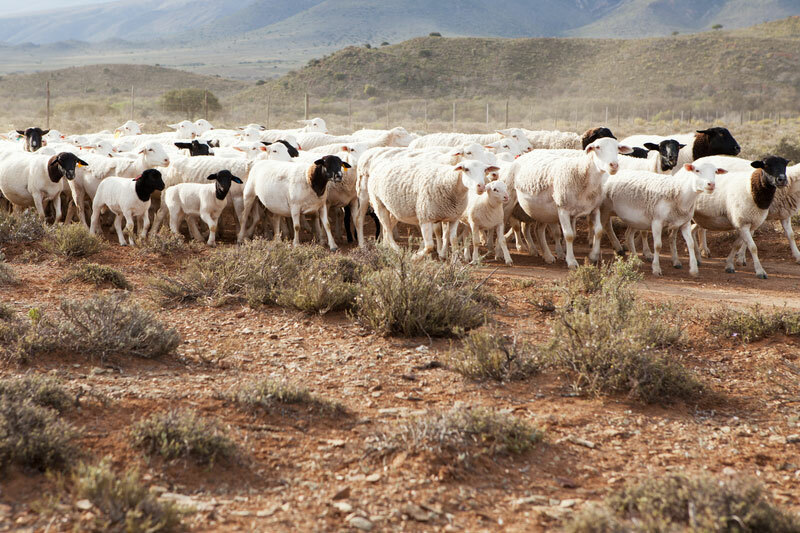 Namaqualand is the world’s only arid hotspot, rich in biodiversity. You’ll find it along the upper reaches of the West Coast, divided into Little Namaqualand and Great Namaqualand by the Orange River. It’s famous for its succulents, hiking, and brilliant night skies – attributable to the sparsity of its population. 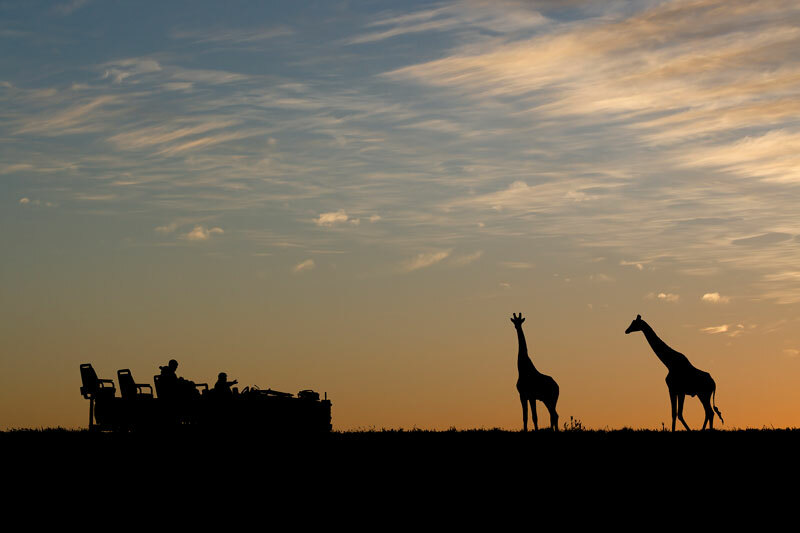 One of the world’s most famous national parks for its sheer numbers of wildlife, Kruger needs little by way of introduction. Its vastness makes for some of the best night skies in the country, particularly in winter, when the Kruger is at its driest. The wilderness trails (book in advance) are amongst the best ways to experience both the bush, and the skies. Only a portion of the vast Kalahari Basin lies in South Africa (the rest of it stretches into Botswana and parts of Namibia), but even this section with its red sand dunes and big, big sky, is vast enough to dominate the Northern Cape. It isn’t true desert and as such is able to support life, even if its annual 250 mm of rain is erratic. 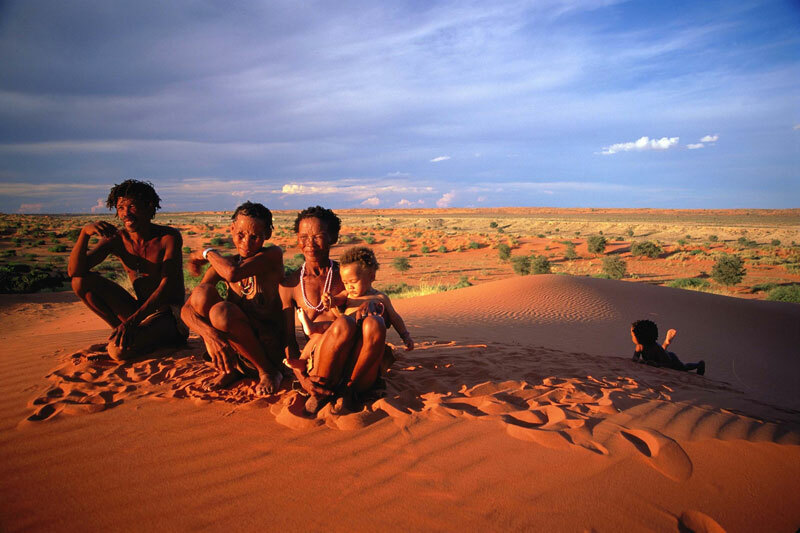 It’s also the home of the San people, who’ve lived here for over 20 000 years as hunter-gatherers. 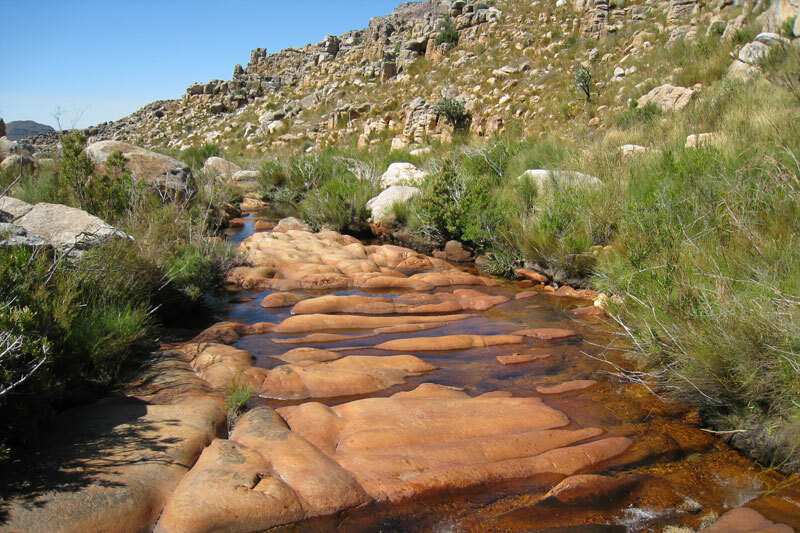 About 3 hours’ outside Cape Town, close to Clanwilliam, are the Cederberg mountains – known for their impressive rock formations, like the Maltese Cross and the Wolfberg Arch, and San rock art. Its beauty and individuality have achieved World Heritage Site status, not least for the fine examples of mountain fynbos. Visitors come for the hiking, and the night skies. Clinging to the northern limits of Limpopo is a huge mountain massif that hunches across 14 500 square kilometres, some of its peaks rising to 2 000 metres above sea level. It’s a wilderness area known to locals as the ‘blue mountains’ for its bluish colour. 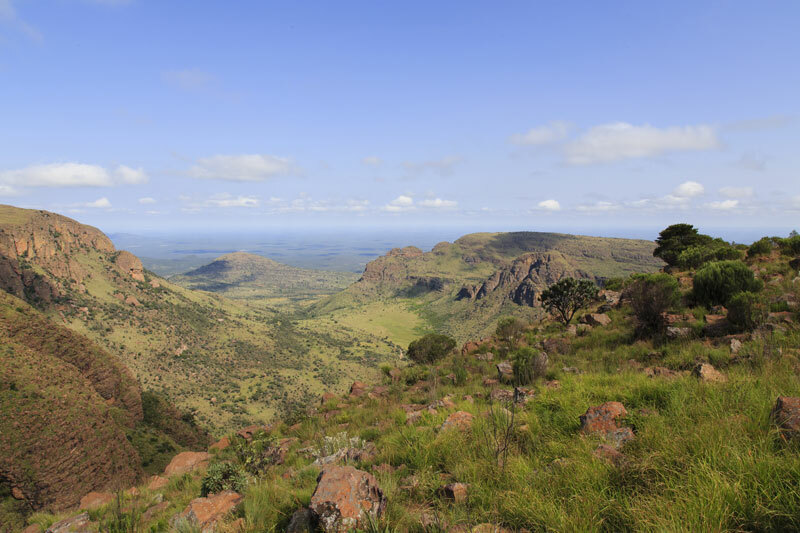 The mountains are protected within the Waterberg Biosphere Reserve, one of only two savannah biospheres in the country. It’s Big Five country with a lot of bushveld beauty thrown in. The night skies are just one of the attractions. 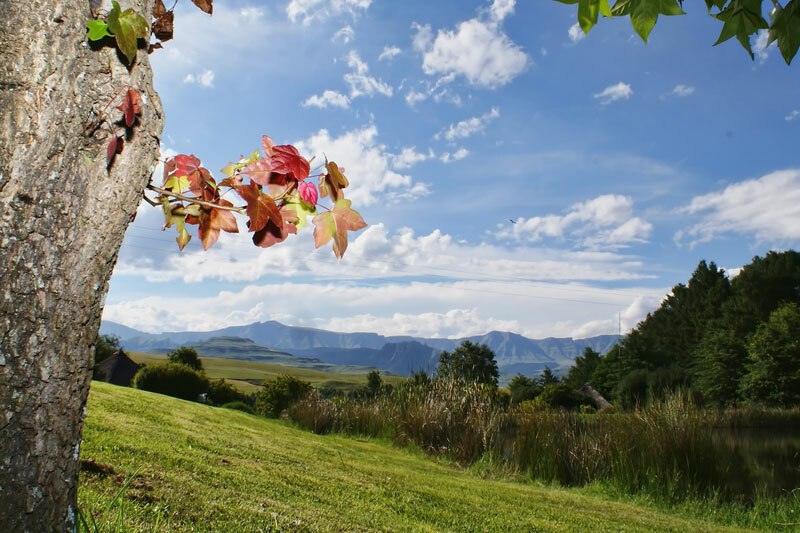 The Drakensberg, or mountain of the Dragons, stretches for over 1 000 km between the Eastern Cape and KwaZulu-Natal. It also winds north, through Mpumalanga. But when most people speak of the Drakensberg they’re referring to the great escarpment, or the uKhahlamba, that forms the border between Lesotho and South Africa. The night skies, though not always clear, are merely one of the unforgettable beauties of this mountain landscape.